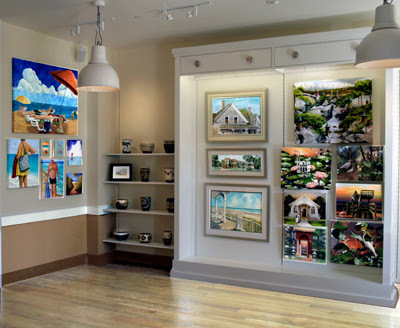 Art Gallery of Viera is open for business at their new location at The Avenue, 2261 Town Center Ave. Suite 111, 2 doors down from Coldwater Creek. "The new space looks like it was built to be a gallery, it's the perfect place to showcase our many talented artists," says Bobbi Q. Brown, Marketing Director. "The Art Gallery of Viera is now without question the largest gallery in Brevard County." The Grand Re-opening Celebration will be held Saturday, March 10 from 6-9 p.m. There will be light refreshments, live music, a cash bar, dozens of artists to meet and is free and open to the public. The new, larger gallery is accepting applications from talented artists. To apply please visit our website at www.artgalleryofviera.com and scroll down to "Call for Artists".